The spirit shop now carries Love Your Melon beanies! Tuesdays and Thursdays – 11:00 a.m. to 1:00 p.m. 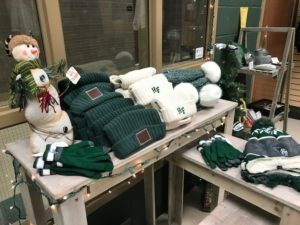 Shoppers are welcome to stop by the Advancement Office Monday through Friday between 8:00 a.m. and 4:00 p.m. One of our advancement team members will gladly help you shop.